Before the rise of local and other International Television brands in India, Samsung have been slaying its competitor with their extensive range. But the scenario is currently changed. Which has made Samsung aggressive in terms of the price range. So, if you have been looking to spend at least Rs 20,000 on a premium LED TV. Then, this Samsung LED TV is something you should be considering to purchase. Why should I buy Samsung LED TV in India? Well, Samsung has been a popular and reliable brand, which has not only lived up to its name over the time of its presence in the country but has introduced innovative features personalized to Indian audience requirements. For example, certain models come with Indian Cinema mode and Cricket mode. Does Samsung LED TV price makes it a worthwhile purchase? Yes, indeed it is a LED TV that one would like to invest in this price range for the features it comes. All you have to think about is, whether a 28-inches LED TV is what you are looking for or not. 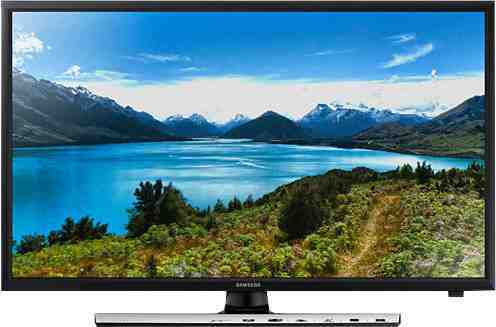 Samsung 28J4100 28 Inch HD Ready LED TV full specs and reviews as of Apr 2019. Buy it here!